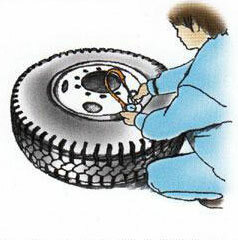 1st Step, inside and outside of tire should be clean when tube to be insert tires . 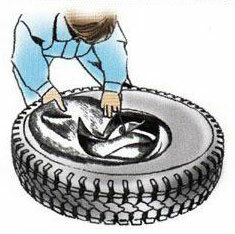 Recommend to cover French chalk and black lead powder on the surface of inner tube and flap , inner tire . 2nd Step, When folded up into the tire tube, valve guides should be facing up. 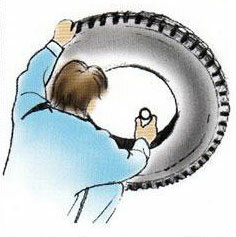 Open the tube and the inner tube into the tire flattened, removal of inner tube valve cover. 3rd step, Check if the flap with the mounting position is correct. The flap should be set into the tube with the valve stem up. 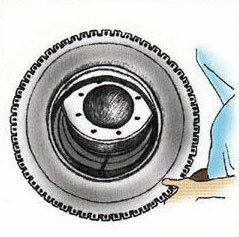 The flap to be mounted between tires and tubes .Ensure flap edges are not wrinkled or folded. 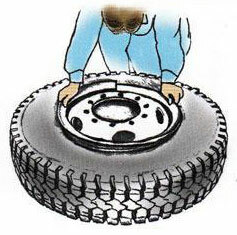 4th step, The lubricant without corrosive substances to be brushed along the tire bead. The tires mounted on steel wheels, and the valves to be mounted into the tank of wheel’s valve. 6th step, Make sure that all component parts are accurate installation and matched. 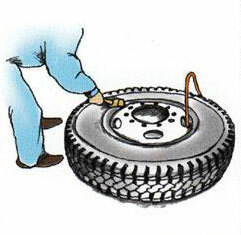 Remove the valve core of tube, filled with about 50% of the standard atmospheric pressure of compressed air, with a mallet beat the circumference of the tire sidewall, the tire and wheel steel tie can be more closely. 7th step, Reconfirmed each component has been completely installed, filled with compressed air to the standard atmospheric pressure. The line of the tire side should be fully exposed to the outside wheels of steel. Accurately fitted valve core.